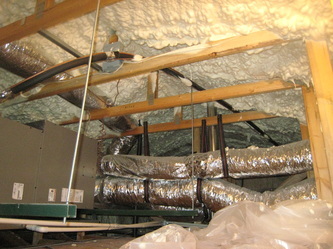 Insulation is rated by it's R-value, which tells us its ability to resist (slow) heat transfer. It is impossible to stop the transfer heat from a hot or cold attic into the house, but we can slow it down and the higher the R-value, the more effective it is at slowing the transfer of heat down. 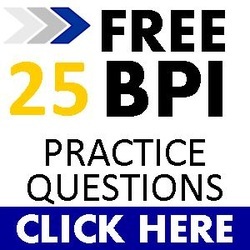 The higher the R-value, the better. 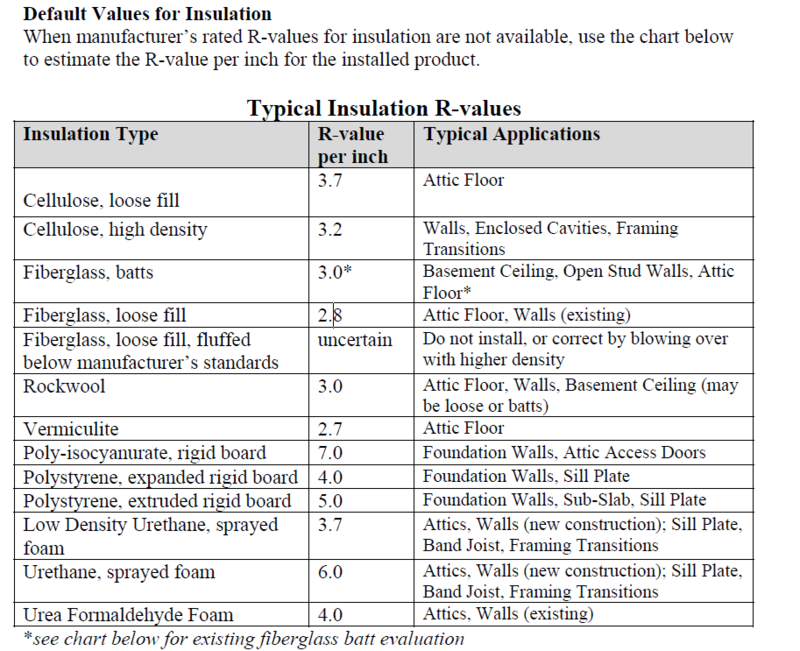 Below is BPI's rating for insulation if the manufacturer's R-value rating is not available. 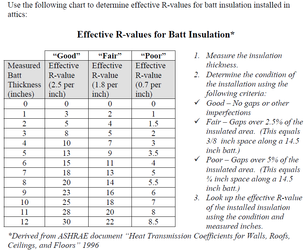 The BPI standard says if the manufacturer's rated R-value is not available, use the chart below. 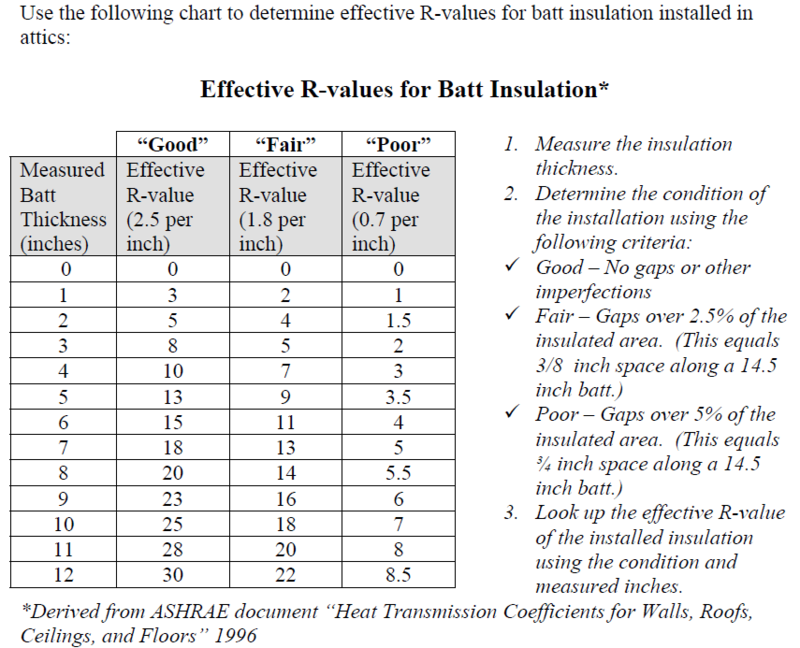 So for existing homes you would use this table to find the R-value per inch. 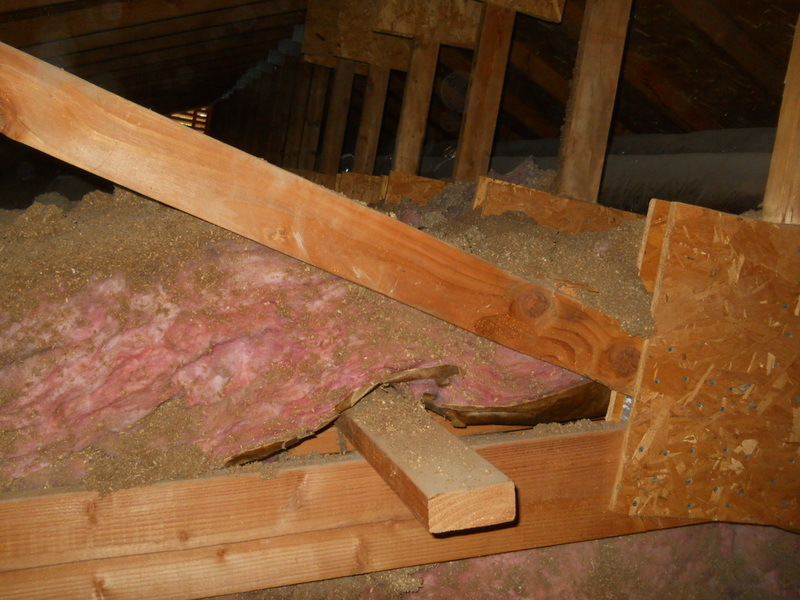 If you are blowing new insulation in, you could use the manufacturer's R-rated R-value but I would offer a word of caution. If you are in a home performance with energy star's program, I would use BPI standards for the R-value. 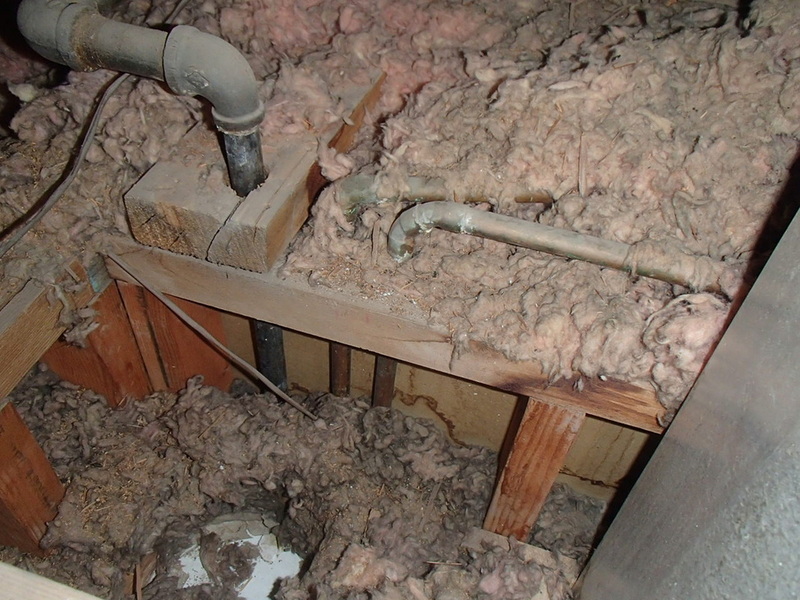 I think that manufacturer's over-state their product's R-value and you may get in trouble or at least a call back if your Home Performance Program's Administrator calls you on it. 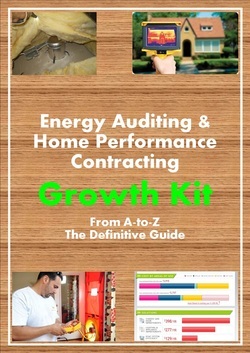 Another helpful hint is if you are ever called out by the Administrator, you need to refer back to your BPI standards and the Department of Energy's Home Performance Installation Guide. 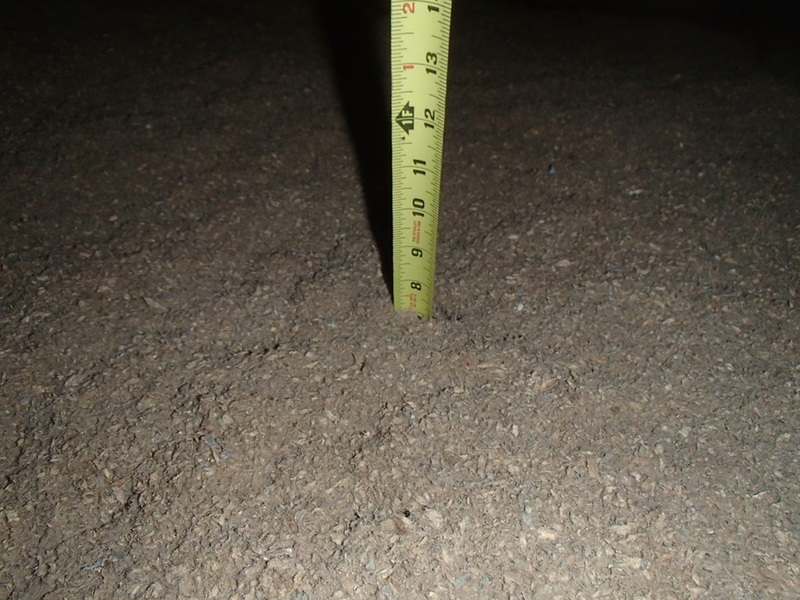 If what they call you for cannot be found in either standard, you are in the clear and you should reference the hell out of it to get your company out of trouble. 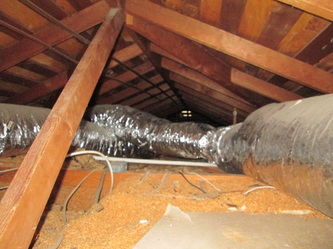 Don't forget the U value is the inverse of R-values and R-values are the inverse of U-values. 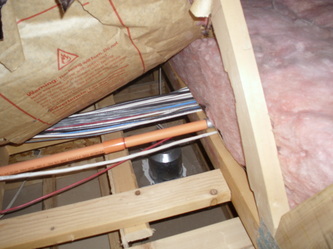 Just because insulation is old, doesn't mean it has lost its thermal properties or has to be removed. 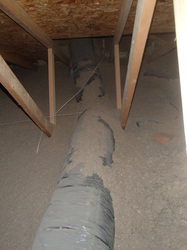 Only if it is water damaged or rodent infested should it be recommended to be removed. Some homeowners will prefer it be removed because of allergen sensitivity, superstitions or for whatever reason and that is OK if they willing to pay, but it is not essential. 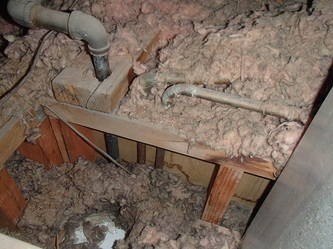 Cellulose is the greenest type of insulation because it is made from recycled newspaper and cardboard. 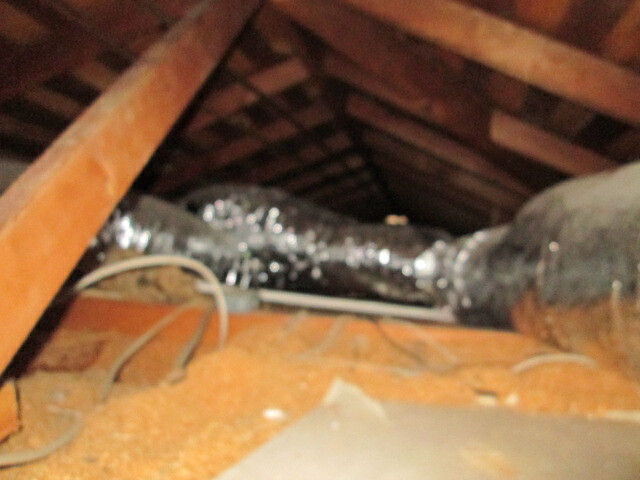 It is fire treated with Boron chemicals which is what you taste in your mouth if you have ever blown cellulose without a dust mask on. 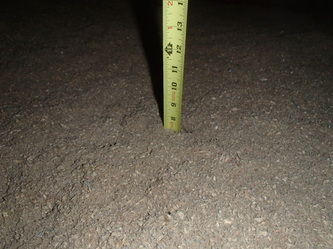 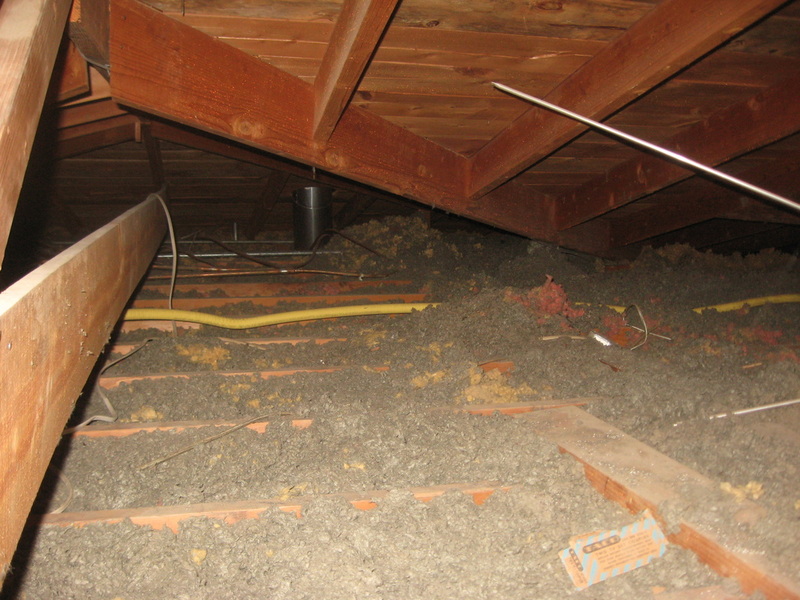 Of the loose fill insulation, it has the highest R-value per inch (3.2 R-value per BPI standards). The plus side of cellulose is it's high R-value, ease of installation and inexpensive cost. 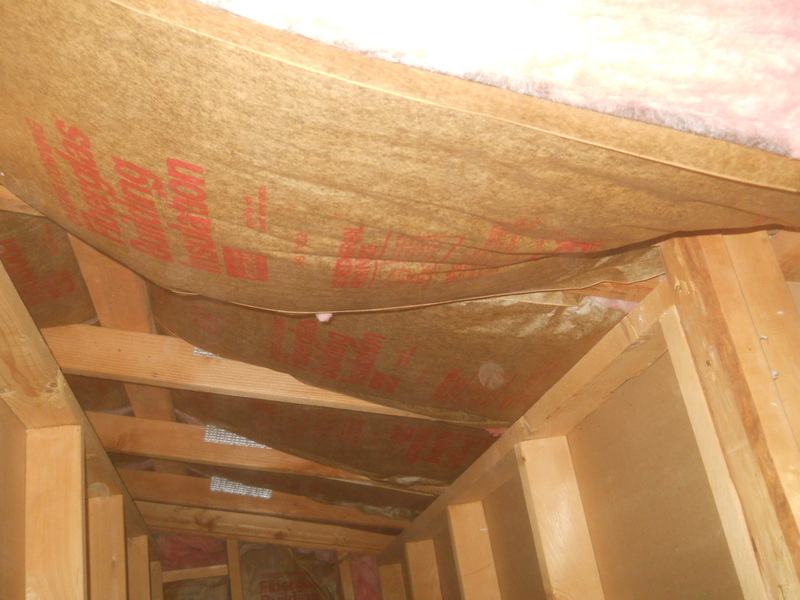 The down side of cellulose is that is it more dusty when installed (so your crews need to be more cautious), it becomes ruined if wet, and it settles. 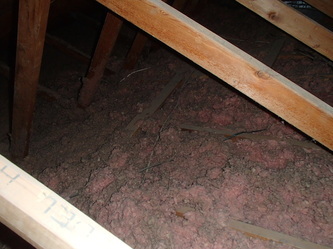 Loose fill fiberglass or blown-in fiberglass insulation is the same fiberglass insulation as the rolled batts (see below), but this is much better because it is ground up and blown in like cellulose. 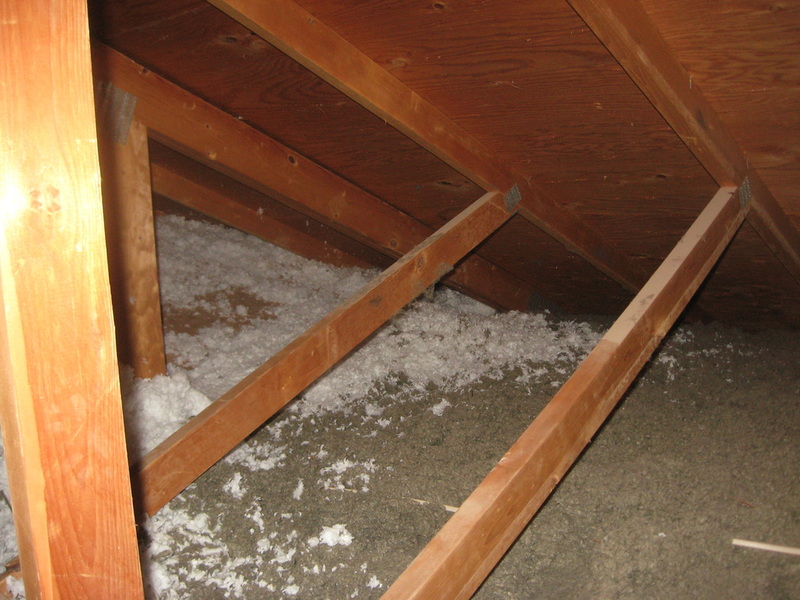 Loose fill fiberglass is not dusty, you can see where you are blowing in tight areas and it is water resistant BUT it has a lower R-value per inch than cellulose so you need to add more to get to the desired R-value, costing you and your customers more money. 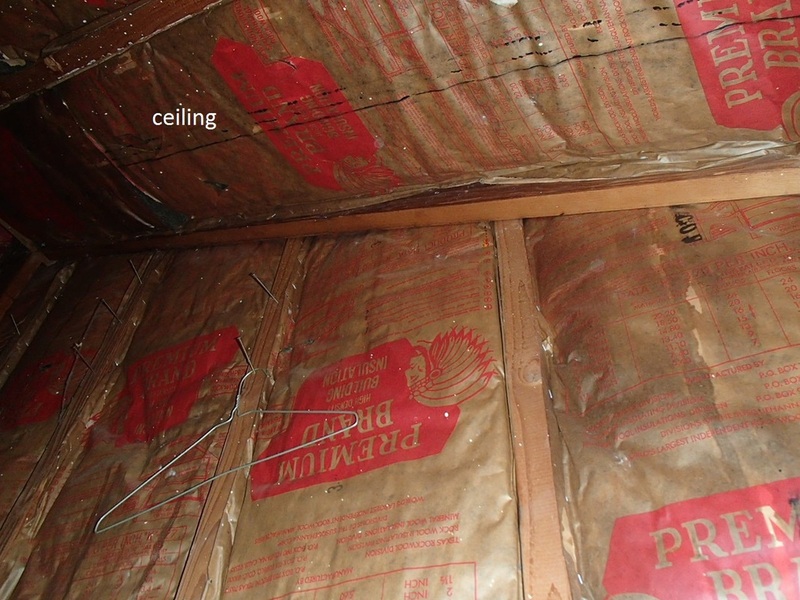 I have also noticed loose fill fiberglass's prices increase from my 3 distributors much more than cellulose (about 2-3 times per year compared to cellulose's' 1 time every 2 years). 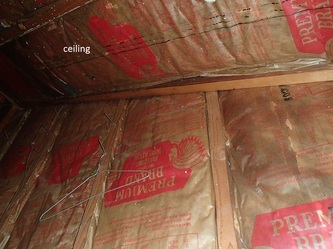 Older (1970's) loose fill fiberglass is thicker, and very itchy and dusty. Rock wool is becoming less and less common for new applications but you will likely find it in attics with homes built in the 1970's. 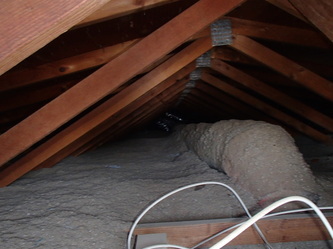 Rock wool is itchy and an irritant, has a lower R-value than cellulose but higher than loose-fill fiberglass. You can still buy and install rock wool, but you need to make sure your insulation machine can handle the thicker material. Someones insulation distributors will have deals on rock wool because they can't get rid of it. Believe it or not, using wood chips for insulation is still practiced, but should not be. 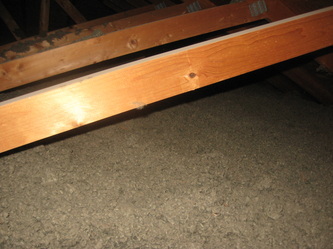 Wood chips were sometimes put in attics before cellulose or fiberglass was used, and just after period where no insulation was used in homes at all. 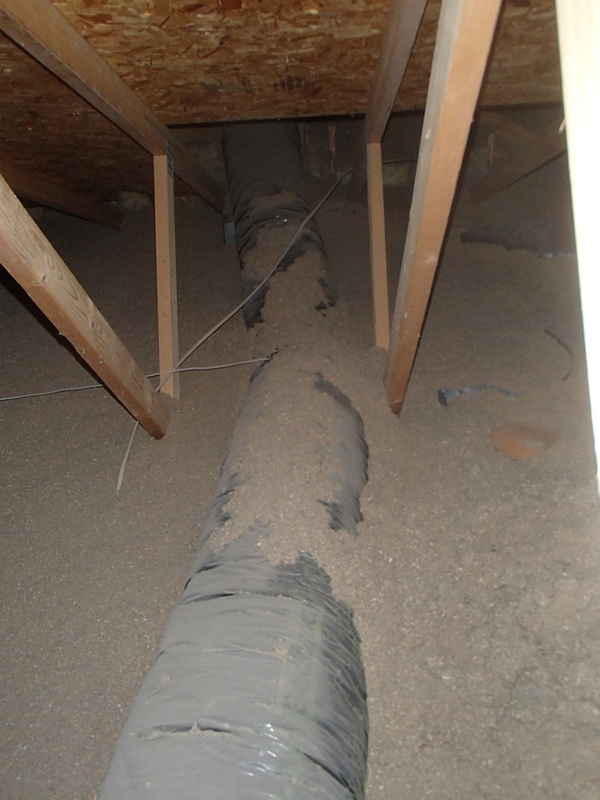 Wood chips are bad because they are a fire hazard, attract termites, and have a low R-value. The R-value of fiberglass is highly dependent on how it was installed. To achieve the best R-value, the batts should be in continuous contact with the drywall and cut exactly to length. 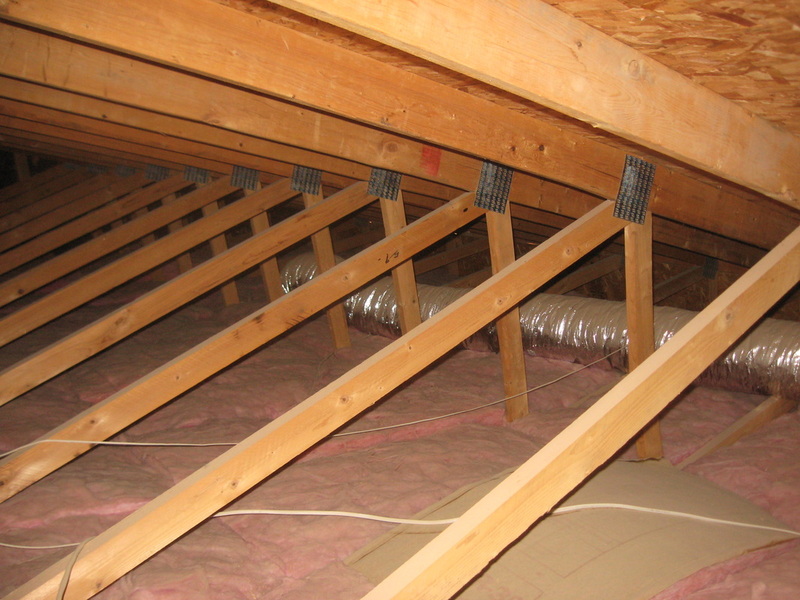 However, all too often we find they are too long, bunched up, thrown on top of recessed canned lights, falling off or simply laying on top of the studs which reduces the R-value and creates air pockets that can increase convection and heat gain into the home. Denim batt insulation is a green alternative to fiberglass batts. 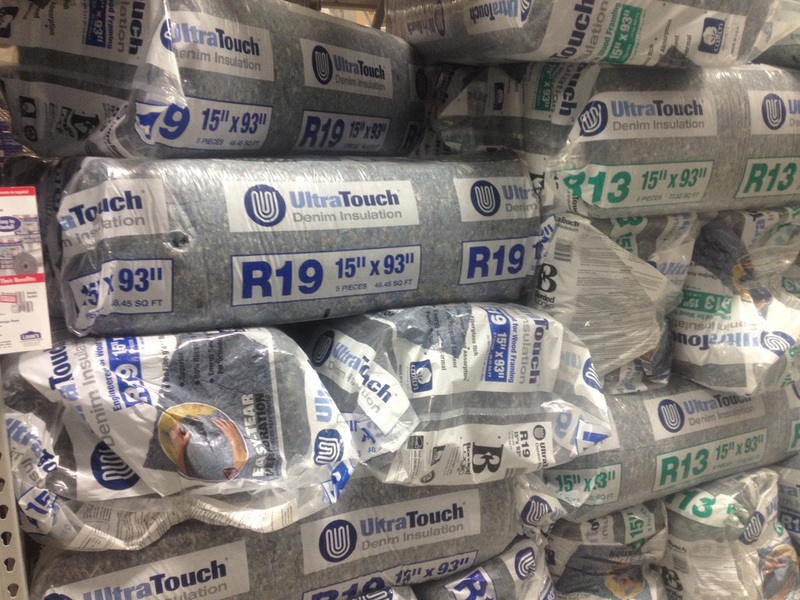 Denim insulation is made from recycled blue jeans and has a high R-value and it is not itchy (yah!). Denim insulation is ideal for wall insulation because just like fiberglass batts, they are so easy to install wrong and we always have to worry about misaligned insulation when dealing with batts of any kind. 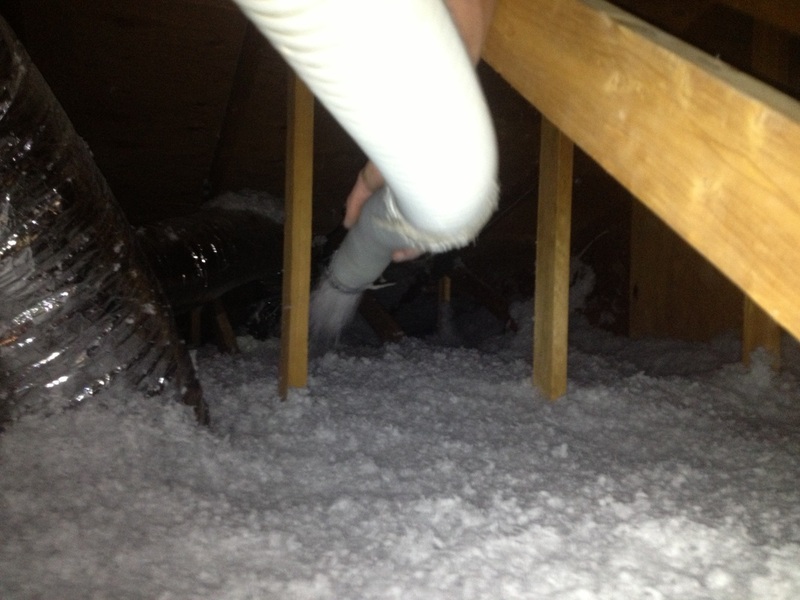 Spray foam is a great insulation product because it also serves as an air barrier, so the entire attic becomes conditioned space. 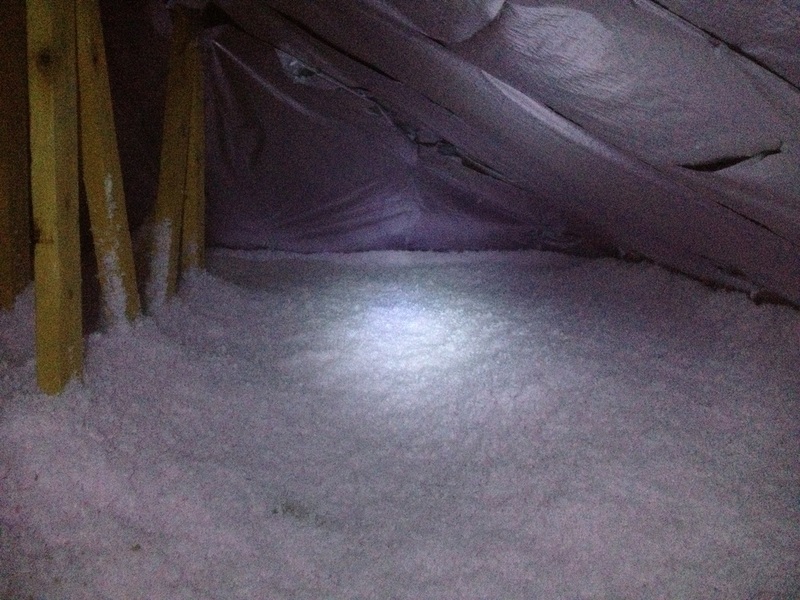 The temperature difference reaches about 20 degrees from the inside of the home in the summer in Phoenix, which is pretty impressive. 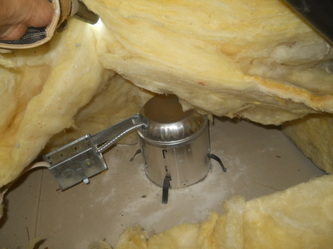 Spray foam can be either open cell or closed cell foam. 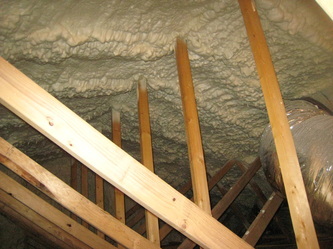 Closed cell spray foam is more dense and does not expand as much as open cell foam, so it is ideal for tight areas like walls or under belly crawlspaces. 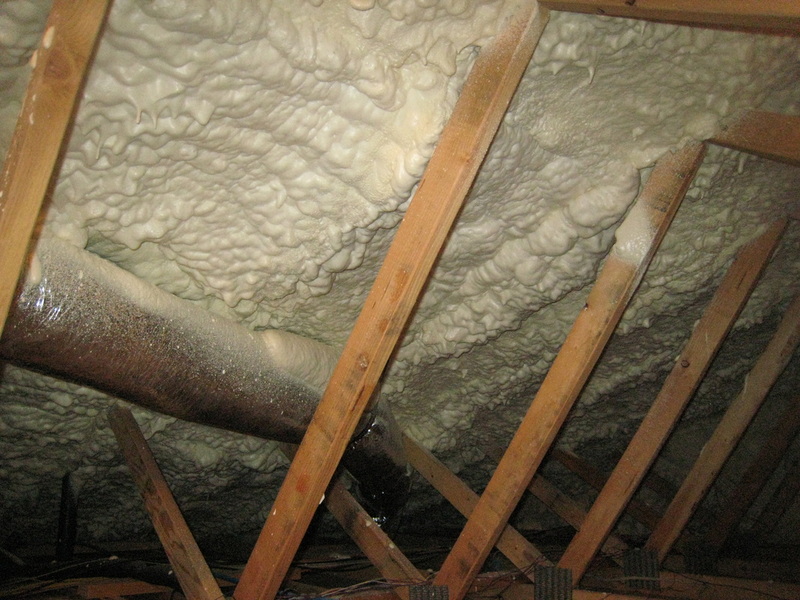 Open cell spray foam expands much more than closed cell foam, so it is ideal for attics or places where you don't have to worry about space restrictions. The down side of spray foam is the cost, about 4 times more expensive than loose fill or batt insulation.